When you catch her staring at you with eyes that reside behind that pair of lenses, the frantic beating of your heart only seems to intensify… Innocence and intelligence are often associated with bespectacled girls and they may result in the wake of a new kind of fetish in us. A pair of glasses has a lot of potentials; a classical pair makes a girl look like an adorable bookworm, a wonderfully colored pair with unique frame design makes her appear fashionable and stylish, whereas another type of glasses gives her the "intellectual older girl" look! 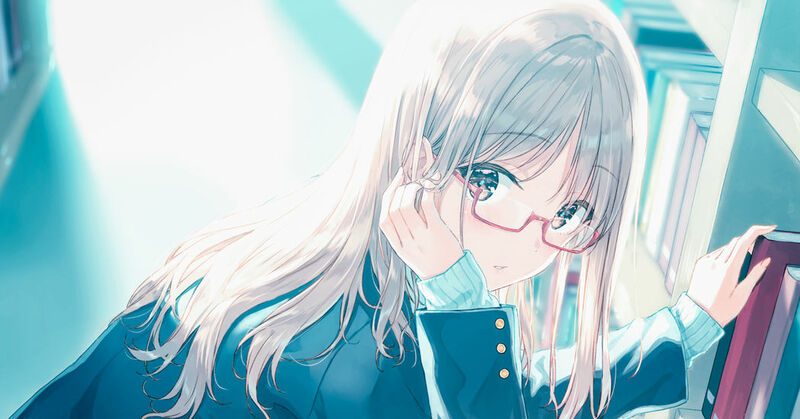 This time we’re featuring beautiful illustrations of girls with glasses. Enjoy!